Explore the joys of building words and creating stories as Leap, Tad, Lily and friends go on a camping adventure to see a meteor shower! Follow along as they learn to rhyme in song, and then build words and develop amazing stories in a super-fun game with picture and letter cards. Join the LeapFrog friends as they discover stories can come from anywhere-all you need is imagination! 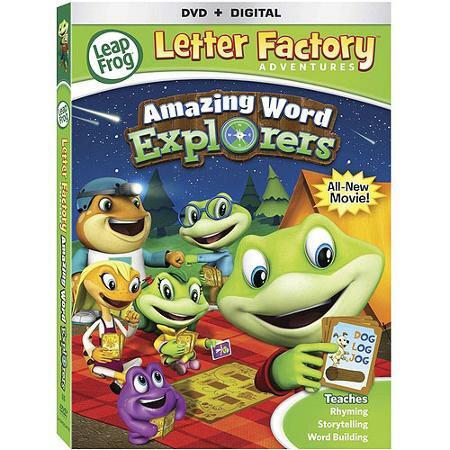 Register below to WIN Leapfrog: Amazing Word Explorers on DVD!